I just got off the phone with Dr. Dan Rausch from SiriusXM’s Doctor Radio. This was our second time talking and it was a wonderful interview that flew by much too quickly! If you missed it, it will be rebroadcasted on SiriusXM Ch 81 on Thursday, 10/11 at 3:30, Saturday, 11/13 at 11:30 and Monday 11/15 at 3:30. Sirius also has a new feature called Sirius On Demand so if you’re a subscriber you can listen whenever you like! 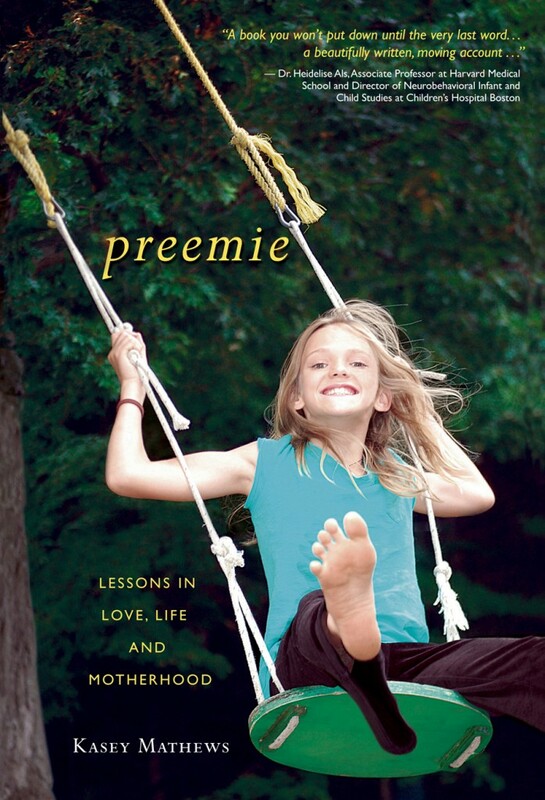 I’m also so excited that our own Andie Lou is the featured preemie in the October issue of Preemie Family. This is a pdf format that you’ll probably need to download to read. Preemie parents, be sure to subscribe! And it looks like I’ll be featured on this website tomorrow Authors Promoting Authors. I really should be packing right now because we leave today for my parent’s house in Syracuse, New York! I have 3 (!! )TV (!!) interviews and a book signing scheduled for tomorrow! I didn’t think I was that nervous until this morning when I pushed the garage door button to close the garage door WHILE I was driving out (thank goodness for those electronic eyes) and then proceeded to drive in a totally different direction then my kid’s school. “Uh, where you going Mom?” I heard from the back. It was then that I realized that, Yes, I Am Nervous! Let’s hope saying it out loud has the same effect as saying I’m Afraid out loud! My first interview is with Jim Reith from WCNY. It will be taped at my parent’s home and aired Thursday, 10/11 at 6:30 pm. Hopefully you can catch the interview right before you head over to my book signing! In the late afternoon, I’ll be joining Matt Mulcahy and Megan Coleman on NBC 3at 5:30 and Michael Benny on CBS 5 at 6:10. The book reading/signing is at the Barnes and Noble in DeWitt, New York at 7:00 pm so please come by if you’re in the area! Once again, thanks so much for all of your support. I stood in the middle of a Barnes and Noble the other day gawking at the enormity of books lining the shelves. The fact that anyone would buy my book, let alone take the time to read it (and even write to me as so many of you have done!) is simply humbling. Thank you. 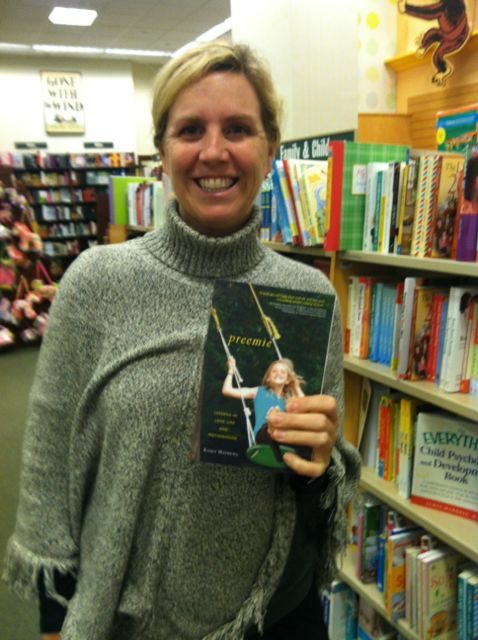 Me and Preemie at a busy Barnes and Noble with lots of books from which to choose!